Arts and Humanities Colloquium: "Wittgenstein versus Zombies: An Investigation of our Mental Concepts"
Edward Witherspoon, Associate Professor of Philosophy, Colgate University. 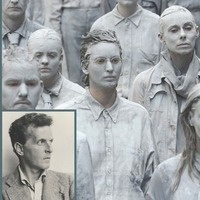 "Wittgenstein versus Zombies: An Investigation of our Mental Concepts." Refreshments available 4:00-4:15 PM. Lecture begins at 4:15 PM. All are welcome.